Our program in Lebanese Arabic is divided into elementary, intermediate and advanced levels, with three subdivisions at the elementary and intermediate levels: low, medium, and high. Thus, students pass through six levels before reaching the advanced level (Level 7). Each of these six levels is covered in 72 instructional hours. Students can complete each of Levels 1-6 by taking one intensive course (72 hours), or two regular courses (36 hours each) or the equivalent in sequence. At the elementary and intermediate levels, the program is based on Lebanese Arabic from Scratch: A Course for Non-Native Speakers. Upon completing these levels, the student will have learned the essential grammatical structures of the language and developed the ability to communicate effectively in a variety of everyday situations. Courses offered at the advanced level are intended to consolidate and deepen the student’s facility with the language and culture of Lebanon, using such material as Lebanese films, music, television programs, etc. 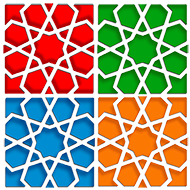 This level begins with the Arabic alphabet. Students learn how to recognize and produce Arabic letters and their corresponding sounds. Modern Standard Arabic pronunciation is taught alongside the Lebanese Arabic variations. After learning the Arabic alphabet, students are introduced to some common greetings, and learn how to introduce themselves and give information about themselves, how to ask and answer a variety of basic questions, as well as how to make and respond to simple requests. The essentials of the simple present tense verb are introduced, and students practice using a limited number of verbs in context. Students learn how to perform a variety of everyday tasks such as telling time, handling money, going shopping, ordering food in a restaurant, and talking about one’s daily routine. The conjugation of the simple present tense verb is examined in detail, and students are also introduced to the subjunctive verb and its uses. 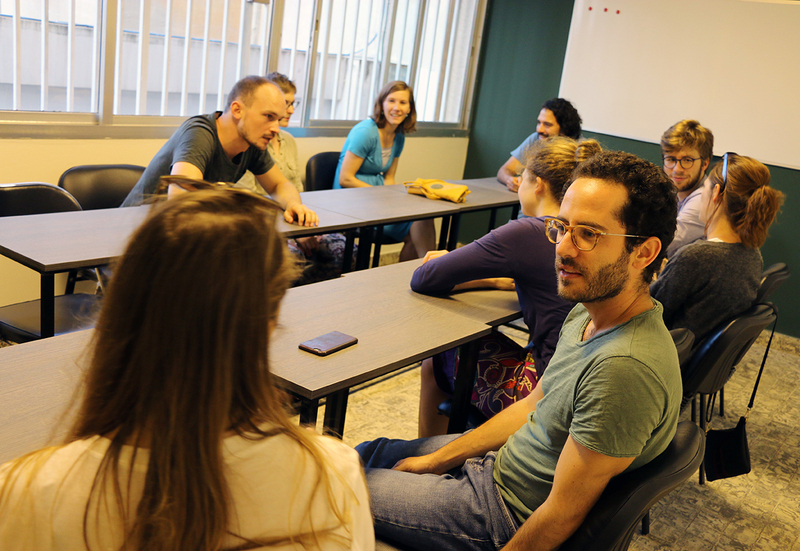 Students learn how to talk about their families and hobbies, as well as describe their past activities and future plans. They also learn how to perform such tasks as giving and receiving directions, using public transportation and booking a hotel room. The past, future and continuous tenses are introduced, as well as the imperative mood. Students learn how to use various past tense constructions (past continuous, past habitual, past future) as well as how to express other nuances of past time. The various uses of the active participle are covered in detail, as well as comparatives and superlatives. Topics include renting an apartment, getting a haircut, and seasons and weather. 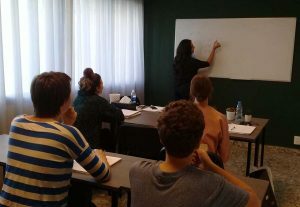 Students become familiar with increasingly sophisticated grammatical structures, such as object pronouns, verbal nouns, quantifiers and partitives, conditional sentences, and various conjunctions. Topics include paying a visit to the doctor, hiring a plumber, repairing the apartment, and talking about people. Students continue to learn essential points of grammar, such as passive verbs and adverbs. In preparation for the transition to the advanced level, increasingly more time is devoted to discussion and vocabulary building. 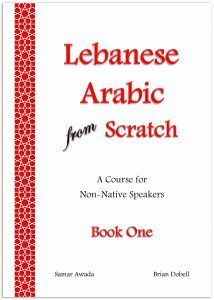 Topics range from personal characteristics to political events, from natural disasters to the religious composition of Lebanon. Courses at the advanced level are aimed at strengthening and developing students’ practical knowledge of Lebanese Arabic, making use of such material as Lebanese films, music, television programs, etc. The nature and range of topics may vary according to student interests.